Stroboss 60evo is a compact reporter speedlite with the guide number of 60m and an integrated Navigator X radio control system. Flash is powered by dedicated Li-Ion battery and can trigger up to 650 full-power flashes per one battery charge. The flash may work with TTL* Canon|Nikon|Sony|Fujifilm X|MFT (Olympus and Panasonic) automatic flash metering systems. As a result, it can be easily used in automatic and semi-automatic shooting modes. 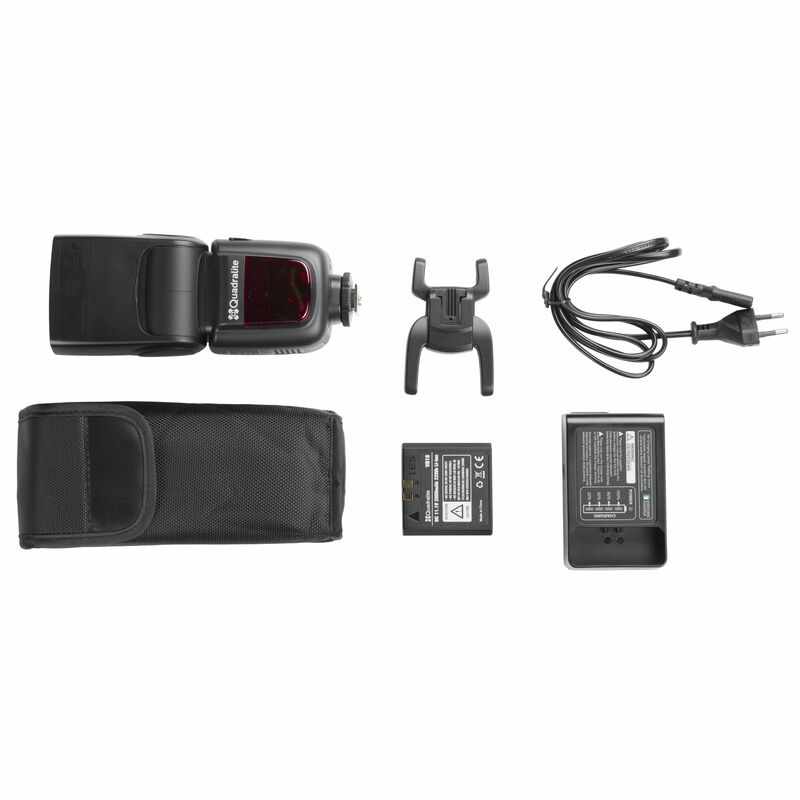 Moreover, it allows for fully manual control over the flash output and zoom. 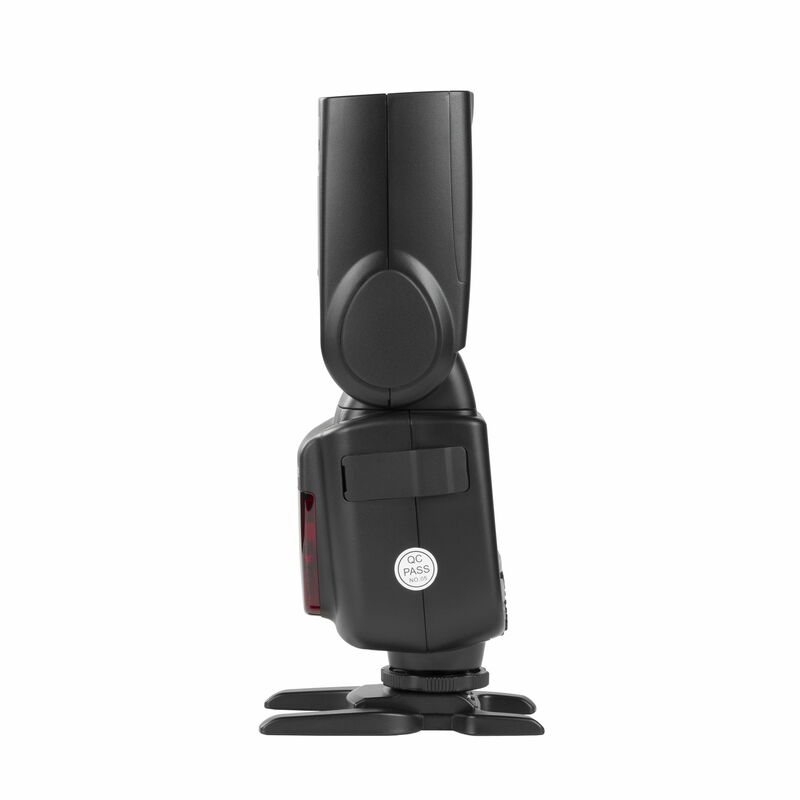 Stroboss 60evo stands out with an integrated transmitter/receiver of the wireless flash control and triggering system. It operates at the radio frequency of 2.4 GHz and ensures effective range of communication of up to 100 meters. 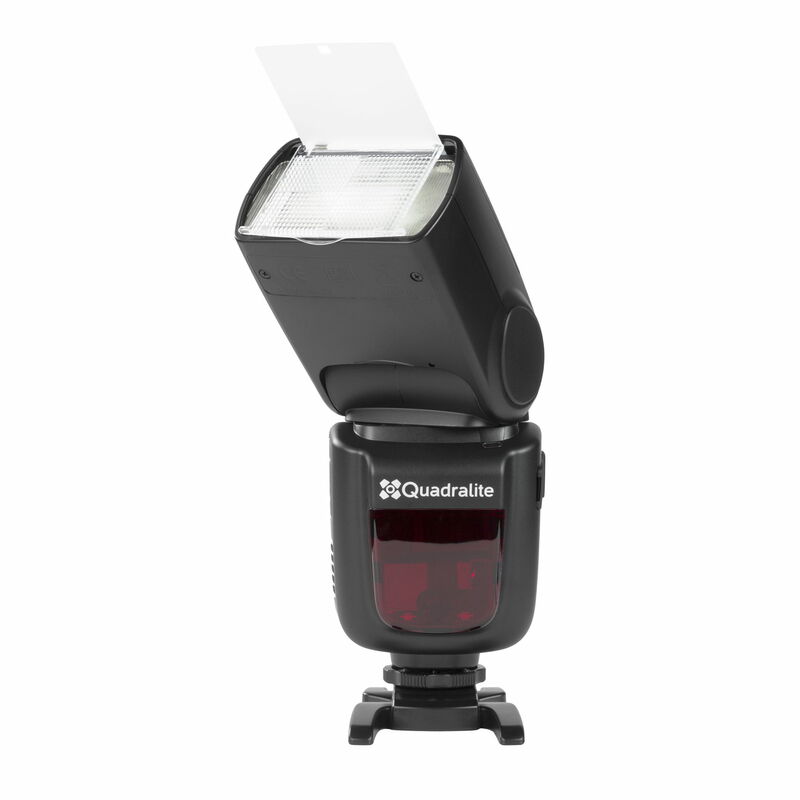 As a result, Stroboss 60evo can be used both as MASTER and SLAVE flash in the Quadralite Navigator X system. Additionally, flash can be triggered with the use of a photocell. 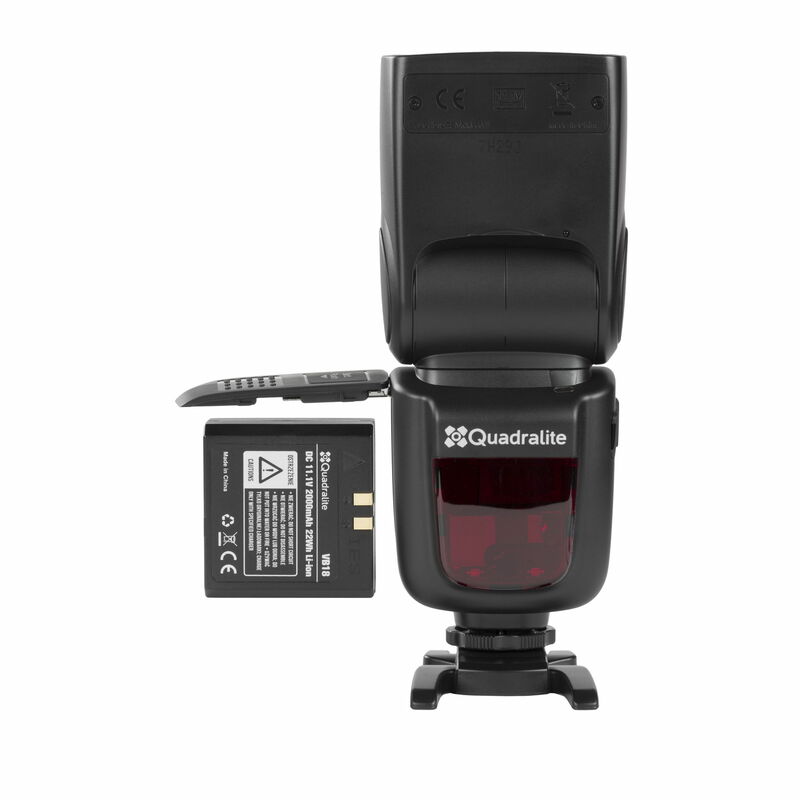 Quadralite Stroboss 60evo flash works best with Quadralite Navigator X radio transceiver which allows wireless control and triggering including High-Speed Sync and Multi modes*. The flash is powered through a specially designed Li-Ion 2000mAh battery. This unique solution will let you forget about onerous AA replaceable and standard batteries that are used to power other reporter flashes. 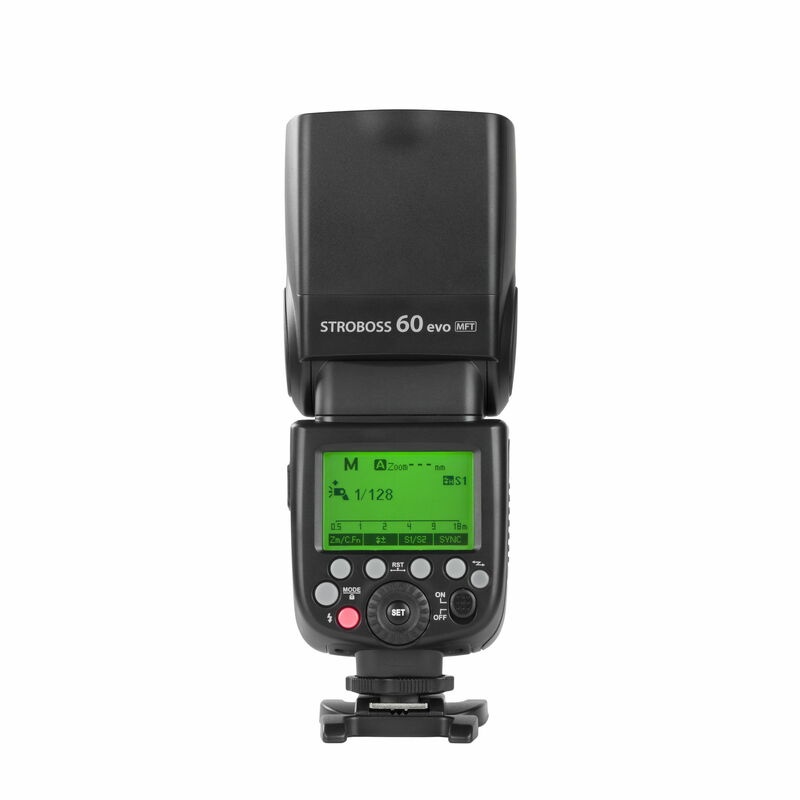 With Stroboss 60evo you will be able to trigger 650 full-power flashes per one battery charge. You can use the charger sold with the flash to check the battery power and enjoy short charging time. Discharged battery will be fully charged within 3 hours. Aside from the standard charger included in the kit, you can also buy a separate charger which may be connected to the car lighter socket. Triggering through a photocell or via Jack2.5mm connection. 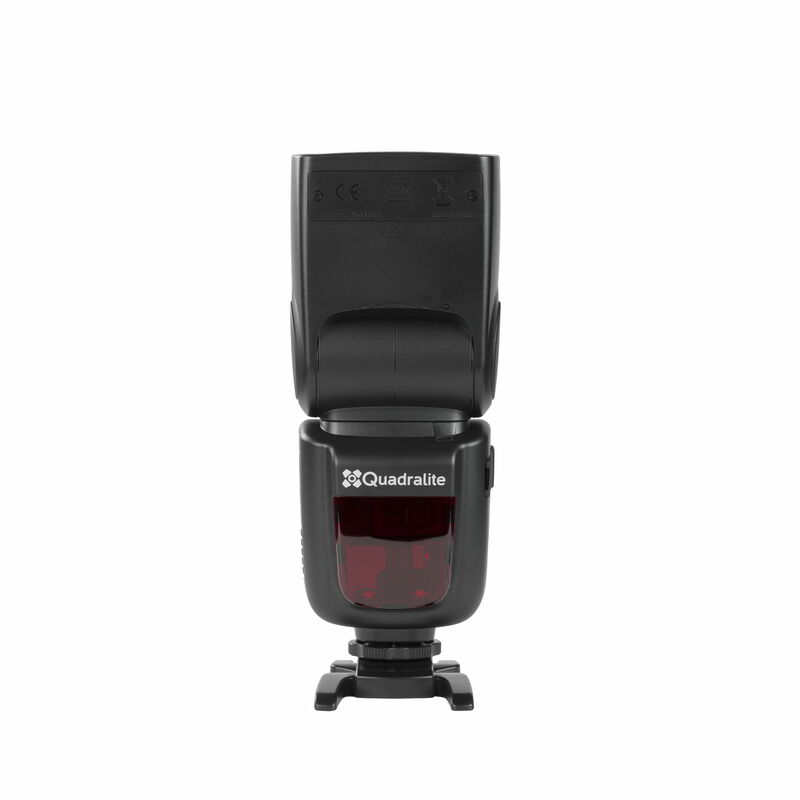 Large flash output (GN 60) and stable color temperature (5600 K ± 200 K). Full control over the flash output in the manual mode (adjustment from 1/1 to 1/128 at 1/3EV steps). Flexible flash head (horizontal tilt from 0° to 360° and vertical tilt from -7° to 90°). 20-200 mm zoom and a built-in panel with the dispersing capacity to 14mm. Power supplied through the Li-Ion 2000mAh battery, up to 650 full-power flashes. * it is required to use a proper Quadralite Navigator X controller to ensure full compatibility with a given camera model. Detailed information has been provided in the flash manual.